The Flag Code is outlined in Title 4 of the United States Federal Code. 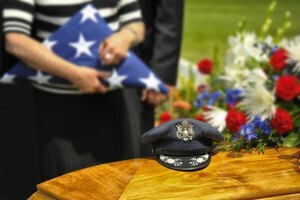 In cases of a funeral, the code outlines how an American flag should be draped upon a casket and the requirements under which the government can provide a flag for use at a funeral. While it is federal law, the flag code is considered largely symbolic and traditional. A general tradition of procedure that covers all aspects of the use of the flag in a funeral has been established and is in use by most funeral homes and cemeteries. Anyone who considers themselves a patriotic American can request that his casket be draped in the flag. The Flag Code does not specify who should or should not have an American flag draped across their coffin. It is traditionally placed upon the caskets of current and former members of the military who served honorably. 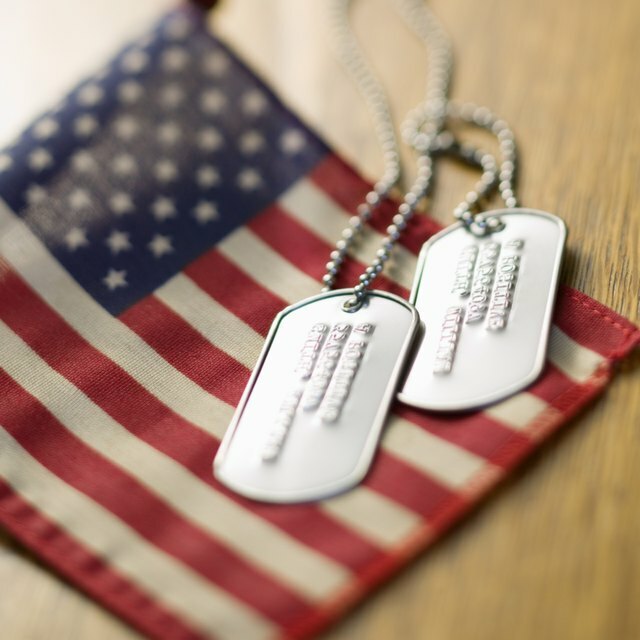 The Flag Code specifies that a veteran of any war or anyone who honorably served a term of military service after 1955 can have a flag provided for his funeral free by the United States government. Anyone who considers themselves a patriotic American can request that his casket be draped in the flag. It is also often placed upon the caskets of persons who have served with distinction in the United States government. 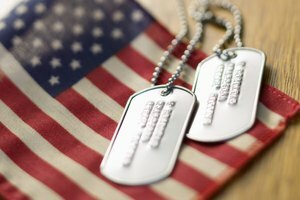 The flag code specifies that when a casket is closed, the flag must be draped across the casket so that the "field" of stars covers the head and over the deceased's left shoulder. The flag code specifies that when a casket is closed, the flag must be draped across the casket so that the "field" of stars covers the head and over the deceased's left shoulder. The flag must never touch the ground. American flags used for draping across a casket are 9 1/2 x 5 feet to provide proper coverage. Although not specified in the flag code, when a casket is half-opened, the flag is traditionally folded into thirds with the "field" showing on top and to the deceased's left, still covering the closed part of the casket. When the casket is fully open, the flag must be properly folded (into a triangle) and displayed near the head and to the deceased's left on the inside part of the open lid. 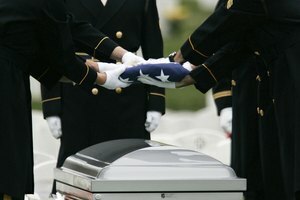 The flag code does require that the flag never touch the ground, so the flag should drape a casket only when it is being viewed. 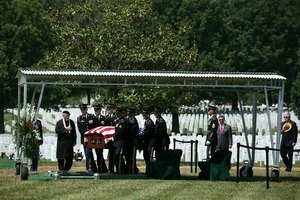 The flag code does require that the flag never touch the ground, so the flag should drape a casket only when it is being viewed. Before the casket is moved or transported, it should be properly folded. 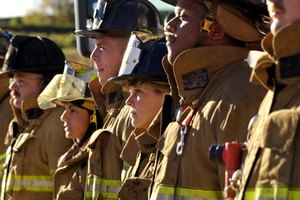 Staff from the funeral home or cemetery will often take care of this detail, unless members of the military are on hand as pallbearers or an honor guard, at which time they often take the responsibility. There is a tradition among some war veterans to have themselves wrapped in the flag inside their casket. If requested, it is proper procedure. During the service, when the flag is removed, it is raised and held waist high over the casket, especially while "Taps" is played. During the cemetery service, the flag is then properly folded and presented to the deceased's primary next of kin. Often, once the flag is folded, a military service member will place three spent bullet cartridges within the folded flag, a military tradition. When the flag is presented to the family, if the deceased served in the military, a word of thanks specific to her branch of service on behalf of the President is said to the primary next of kin. Medina, Victor. "The Proper Way to Drape a Flag Over a Casket." 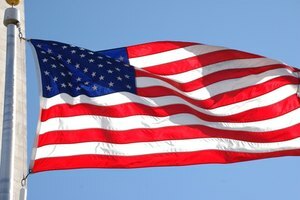 Synonym, https://classroom.synonym.com/the-proper-way-to-drape-a-flag-over-a-casket-12079222.html. 29 September 2017.